Storm chaser? Who can be a storm chaser? There has been a lot of discussion lately about who can and cannot chase storms. Much of the chasing community is heavily involved with a definite opinion on one side or the other. Here are some of the main reasons that are given to discourage new chasers from entering the field. You must have a purpose for chasing. All chasers have a purpose in chasing. Some chase for the scientific aspects, to measure the storms and attempt to gain data on the formation of tornadoes. Some go for journalistic reasons, to photograph and video the storms. Some are out for the thrill and excitement, similar to those who hunt big game. Are any of these reasons more valid than another? No. They are all reasons to chase. Hordes of new people will demean the integrity of storm chasing. This is fear and jealousy talking. Some are afraid they will lose something if more people get involved in the hunt. They want to keep chasing all to themselves. Well, new blood is not to be feared, especially if it brings in talent and recognition. More recognition can mean more funding for the scientific side of things. And more money never hurt anyone. Most newcomers don't know how to chase safely. This is probably true, but the best way to teach them is not by discouraging them, but by inviting them to join experienced veterans and learn the correct methods to follow. Encourage them to take classes on storm spotting and weather. Teach them to be aware of what's going on around them, especially traffic and road hazards. The only valid reason for not going storm chasing is safety. The main question we must ask is how to chase with safety and prudence in mind. To that end, I would encourage any person interested to contact a local chaser and see if they would be willing to allow you to tag along.  Names of potential chasers in your area can be found through the Stormchasers Home Page. Also read anything and everything written about tornadoes, storm chasing, or thunderstorms. It has been said that knowledge is power. Well, in this arena, knowledge is safety. The more you know about thunderstorms and tornadoes, the better off you are. Purchase as many videotapes as your budget will allow, starting with Tom Grazulis' Tornado Video Classics I, II and III. Other excellent videos are the ones provided by Stormtrack editor Tim Marshall. Tim does an excellent job in taking you through a complete trip, explaining his forecasting technique and showing you how the storms evolve from their infancy to maturity. Don't just look at these videos with entertainment value in mind. Play them again and again and look at the structure of the storms and how the chaser pursues them. There are a lot of subtleties contained in these videos showing a wide variety of supercell thunderstorms and their environments. Examine the clouds to see what they tell you. See what they told the chasers who were filming these tornadoes. If possible, stop by the nearest National Weather Service office and see if they could provide you with informational materials on weather and storm chasing. And if you haven't done so already, sign up immediately for the next storm spotter class offered by the NWS. When storm chasing, common sense and good judgment must be used at all times. Don't go driving pell-mell down the road at 90 mph every time the NWS issues a tornado warning. To my knowledge, no chaser has been killed by a tornado, but chasers have died in traffic accidents. Other chasers have been struck by lightning and had their lives forever changed by that experience. Any time you are around a thunderstorm when storm chasing, a certain amount of danger is present. Lightning, hail, wind, heavy rains, flooded roads, and numerous other hazards exist around these storms, any one of which can kill you. Distance equals safety margin when storm chasing. You don't have to be a hundred yards away from a tornado to get a good picture. Tornadoes, especially when they get into the "rope stage" or dissipation stage, can become very erratic in their movements. The supercells can sometimes become right or left movers and begin moving toward the photographer with little or no warning. Common sense tells you that it is far better to put some distance between you and the tornado. From a photographic standpoint, you can show a lot more storm structure in the frame when you are five miles away than when you're one mile away. And the beauty of chasing in the Plains is that you can get very good shots from five to ten miles away. One day while west of Wichita, Kansas I saw an elephant trunk tornado on the ground from 25 miles and it was quite a treat to be able to get not only the tornado, but the entire storm in the viewfinder at once. The totally wigged-out, maniacal thrill seeker type is dangerous. This type of fool wants to core punch every storm they see, and doesn't mind if their windshield succumbs to a grapefruit-sized hail stone. A safe chaser is cautious and respectful of the weather. He is courteous to others on the road, respects personal property, and is mindful of the driving laws. It is quite possible to become awestruck by the sheer beauty and splendor of the storm when out chasing. There is a great temptation to stay just a few moments longer. That's a very dangerous trap to fall into. When around severe thunderstorms or tornadoes it pays to stay vigilant. With storm chasing you must be aware of what going on around you at all times, and have an escape route planned. Another thing to consider is the local road topography. The roads in Iowa are vastly different than the ones in Oklahoma. Most roads in Iowa have shoulders that a vehicle can park on safely. In Oklahoma, they have bar ditches, which will swallow an unsuspecting vehicle. In northeastern Kansas, their secondary roads are often covered with large sharp stones, the size of a man's fist, which can slice tires easily. Pay attention to your gas gauge. When I'm on the road I make constant stops at gas stations just to top off my tank. Several years ago a series of tornadoes went through the Texas panhandle and shut down the power grid. A lot of folks were stranded until the next day when power was restored and the gas stations' pumps could operate. I had a full tank and was able to leave the area. America is still the Land of the Free and the Home of the Brave. Until someone invents a way to control thunderstorms and tornadoes, the acts of nature are free for the enjoyment of all. Legally, any person can go storm chasing. However, not every person who can drive a car is prepared to chase a storm safely. There is a lot of weather knowledge and common sense involved. The unprepared person is the only one who shouldn't chase.